Strauss, Richard. 1 signed note with musical inscription, Mannheim June 1, 1927, 5.5x3.5 / 1 signed postcard, Garmisch, June 6, 1908, 5.5x3.5 / 1 unsigned BW photo postcard with Lotte Lehmann-Fidelio, Photo Ellinger, Salzburg, 3.5x5.5 / 1 sepia illustration postcard with postmark and stamp 3.5x5.5 / 1 unsigned photo postcard (351) A.N-Paris. Home > Previous Auctions > Ephemera Test > Strauss, Richard. 1 signed note with musical inscription, Mannheim June 1, 1927, 5.5x3.5 / 1 signed postcard, Garmisch, June 6, 1908, 5.5x3.5 / 1 unsigned BW photo postcard with Lotte Lehmann-Fidelio, Photo Ellinger, Salzburg, 3.5x5.5 / 1 sepia illustration postcard with postmark and stamp 3.5x5.5 / 1 unsigned photo postcard (351) A.N-Paris. E00883. Strauss, Richard. 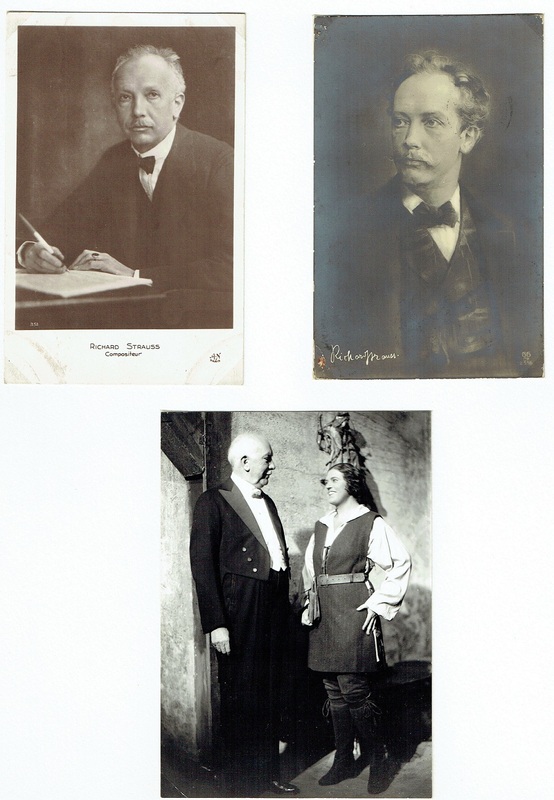 1 signed note with musical inscription, Mannheim June 1, 1927, 5.5x3.5 / 1 signed postcard, Garmisch, June 6, 1908, 5.5x3.5 / 1 unsigned BW photo postcard with Lotte Lehmann-Fidelio, Photo Ellinger, Salzburg, 3.5x5.5 / 1 sepia illustration postcard with postmark and stamp 3.5x5.5 / 1 unsigned photo postcard (351) A.N-Paris.